When I was a kid in Canada, going to my grandfather’s meant playing dominoes, eating pie with ice cream, and watching blue jays hop around the bird feeder. For music, my best hope was a bit of whistling, which was always a crowd-pleaser—but admittedly, the repertoire was limited. Over in Shibuya, it seems that grandfathers are of a different stripe. 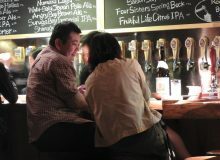 A stone’s throw from Shibuya Station, Grandfather’s offers a solid whiskey selection and a well-priced menu of snacks and small meals. But what makes it so special is the atmosphere. It’s the kind of place you’d conjure up a few drinks in: a dimly-lit secret hideout of warm, dark wood and the soft crackle of your favourite LP coming through the stereo set. It’s a vintage experience, but Grandfather’s delivers retro charm without the kitsch. Its cozy interior remains largely unchanged since the bar’s opening in 1971, and as with a good whisky, they’ve been wise to let it age. 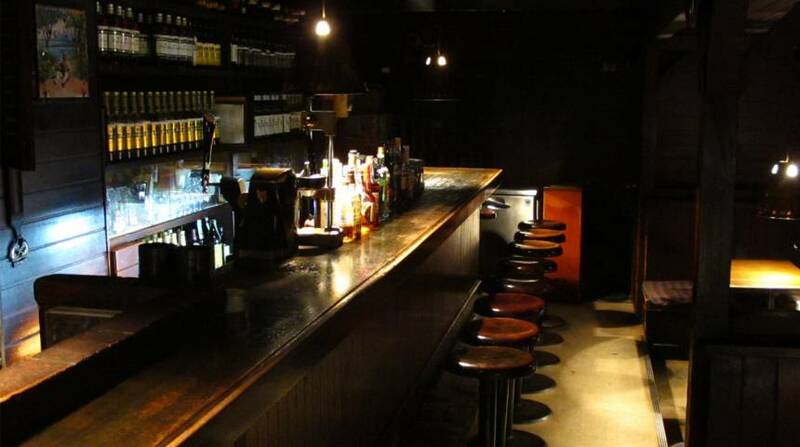 One floor below street level, the windowless, corridor-style room is flanked on one side by a long wooden bar with stool seating and a set of sunken banquets on the other. The low lights offer plenty of privacy, giving you and your date—or your drink—the chance to get close. As a bonus, it’s much less smokey than you’d expect for something underground. 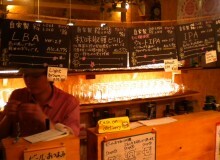 Bar service is quick, with healthy pours and drinks that are surprisingly cheap, given the bar’s proximity to Shibuya. 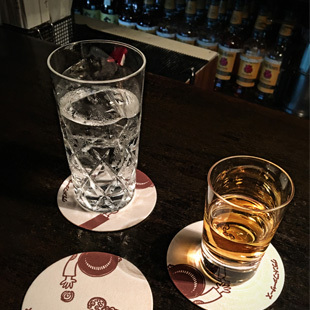 A good glass of Suntory whisky starts at ¥500, with plenty of more expensive options available should your wallet support them. Staff are quick to answer any questions, but they’re not here to chat. In fact, it’s not the kind of place where much talking happens at all. If you’re a bit of a spinner yourself, you’re in luck: the DJ is more than happy to take requests. He might not play it right away, but if they’ve got it, he’ll get to it. And forget about taking pictures. Nothing would pop the bubble of smooth whisky and warm vinyl like your iPhone’s shutter sound. I snapped a quick pic of my drink on one of Grandfather’s cream-colored coasters—which seem to sport the same illustrated design they’ve had since the ‘70s—and immediately sensed that I’d lost serious bar cred. Besides, spaces like this rarely photograph well. If you’re curious, heaps of low-light, grainy photos are only a Google search away. But trust me, it’s so much better to discover this place for yourself. Flat Bld. B1F, 1-24-7 Shibuya, Shibuya-ku. Open daily, 5pm-3am. Nearest station: Shibuya. 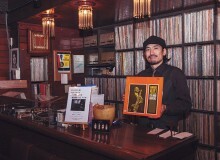 Tel: 03-3407-9505. www.grandfather.jp.